MSE Creative Consulting Blog: AccuWeather Still Up and Running! UPDATE: 3:10PM CST: Pleased to report the NWS has fixed the outage and data is now flowing normally. 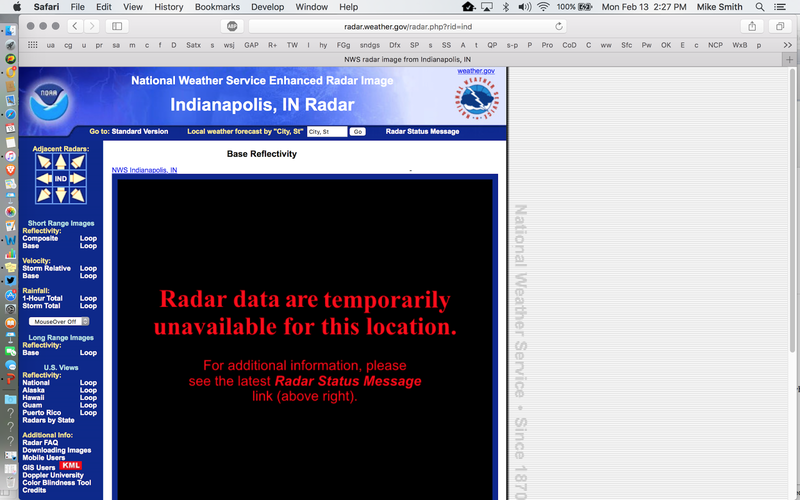 This what people seeking radar data from the National Weather Service are currently receiving. Sorry to report the National Weather Service (NWS) is experiencing a nationwide data interruption that includes radar and other important data. At this point, the loss of data is approaching 2.5 hours. 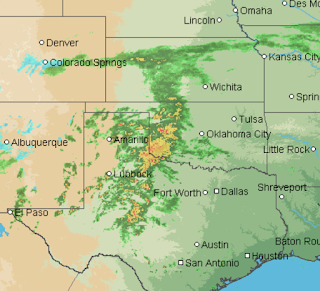 Fortunately, AccuWeather has a number of redundant sources for data and we are able to service our clients and the public with no interruption in radar or any other data. This outage affects the NWS itself. 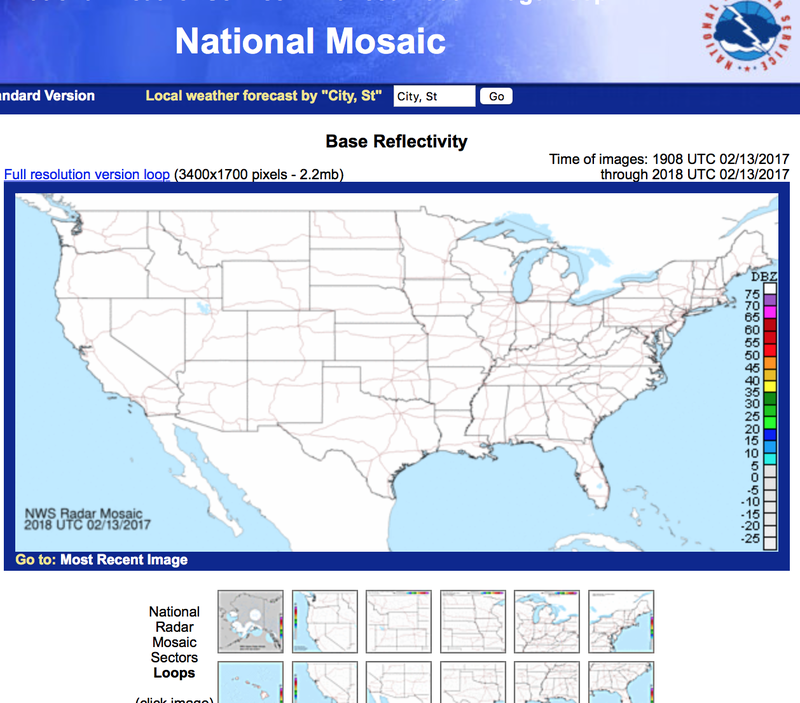 Even with a blizzard in New England and a storm in Texas, their national weather radar map is blank. Had this occurred last week at this time, users would not have been able to receive radar information as the New Orleans tornado was occurring. In the meantime, AccuWeather is serving all of its users as we normally do. We invest considerable sums on redundancy and data quality. That investment pays off on days like this. UPDATE: 3:01PM CST: Just received an email from a user in California asking if competitors of ours would have radar data right now. The answer is, in at least some cases, "no." 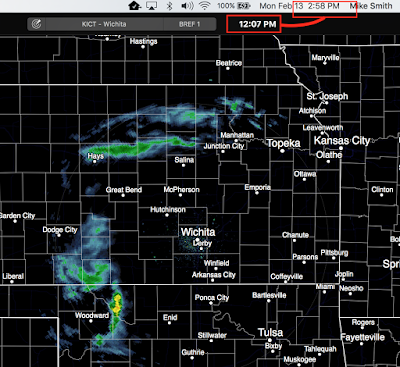 Below is a radar image from a competitor from moments ago. Compare the two times. 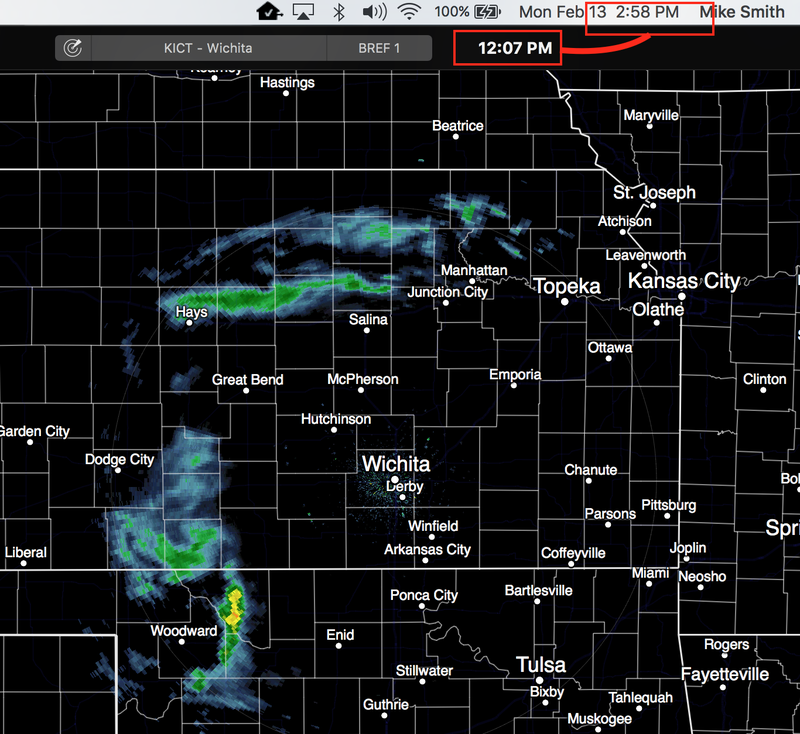 In other words, the radar image is nearly three hours old. It isn't just the public. 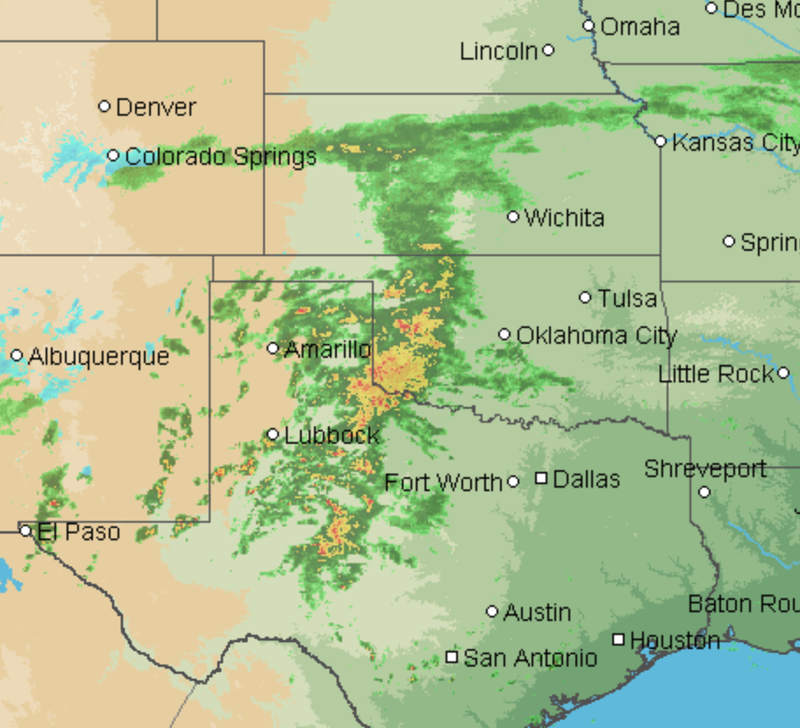 Emergency managers, broadcasters, and others who rely directly on the NWS and on some of AccuWeather's competitors cannot get the critical radar information they need. The Washington Post reports on the outage. When I recommend AccuWeather Enterprise Solutions to businesses it isn't just because I work for the company. It is because I see, every day, the time, money and effort we put into our business to be the very best when severe or extreme weather occurs.